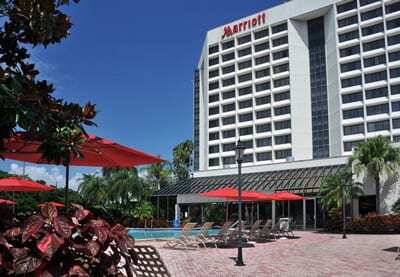 Tampa Marriott Westshore 1001 N. Westshore Blvd. The event’s keynote speaker is journalist and activist Charlyne Hunter-Gault. Charlayne Hunter-Gault is an American newspaper reporter and broadcast journalist who covered current events, geopolitics, and issues of race. In 1961, Hunter became the first African American woman to enroll in the University of Georgia; she was also among the first African American women to graduate from the university, earning a degree in journalism in 1963. After completing college, Hunter moved to New York City, where she worked for The New Yorker magazine in an administrative job and contributed pieces to the “Talk of the Town” section. Many of her articles expressed rich and realistic portrayals of life in Harlem. She next joined The New York Times as a staff reporter, eventually becoming the newspaper’s Harlem bureau chief. In addition to winning numerous awards for her coverage of inner-city issues, Hunter-Gault brought about a significant change in The Times’ editorial policy, eventually convincing the editors to drop their use of the word Negroes when referring to African Americans. Hunter-Gault gained a national audience after she joined the Public Broadcasting Service (PBS) news program MacNeil/Lehrer Report in 1978. When the program grew into the 60-minute MacNeil/Lehrer NewsHour in 1983, she became its national correspondent and reported on topics that included racism, Vietnam veterans, life under apartheid, drug abuse, and human rights issues. In 1997, Hunter-Gault left PBS to become the Africa bureau chief for National Public Radio (NPR), and in 1999 she was named Johannesburg bureau chief for the CNN, a post she held until 2005. She published a memoir, In My Place (1992), and New News Out of Africa (2006), a book documenting positive developments in Africa. In 2005, Hunter-Gault was inducted into the National Association of Black Journalists (NABJ) Hall of Fame. Names and Logo Specifications: Logos must be in eps. or jpeg format and guest names must be submitted by February 1, 2019 to Jazmine.Barnes@UNCF.org. Can you greet guests? Can you organize? Can you stuff bags? We need your help! Sign up here to volunteer your talents for this event.